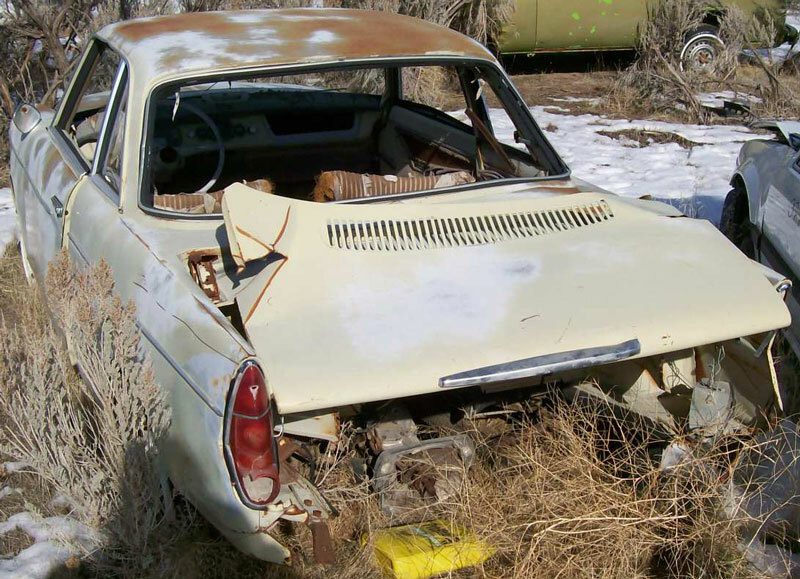 This light yellow 1959 BMW Model 700 rear enigine 2 door coupe is a fairly complete body, interior and chassis ready to be restored or customized. 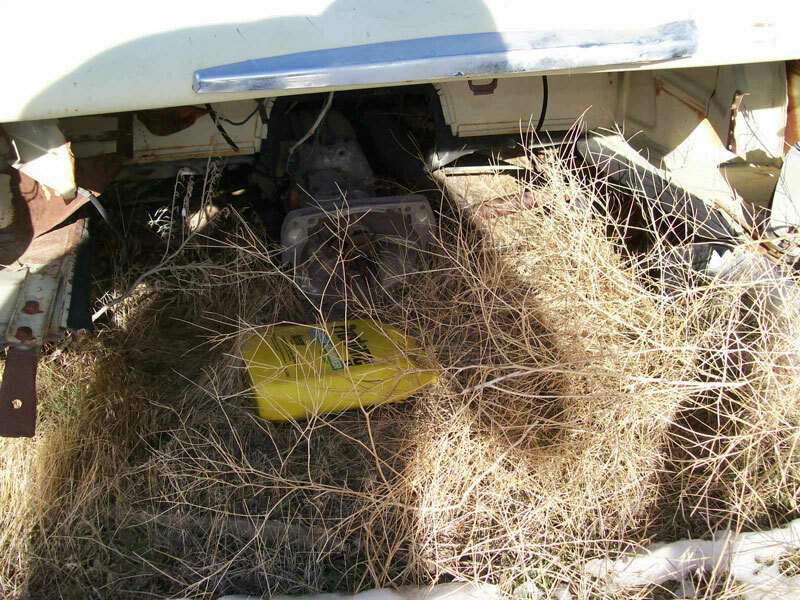 The body has solid and dry western desert sheet metal except there is a little rust in the left rocker. The rear glass and right quarter glass are gone. The front bumper is off and has some small dents. There are dents in the front panel, panel trim and front of hood. There are some dents in the left door and front of the quarter panel. The left door trim is dented. The right quarter door and fender in front of door are dented. The top is dented above the right door. The right door handle is missing. The right fender top trim is bent. The antenna is missing. The deck lid is off the hinges, is bent and has tears on both side. The entire rear panel and bumper are gone. The left tail light lens is broken and the right tail light assembly is missing. 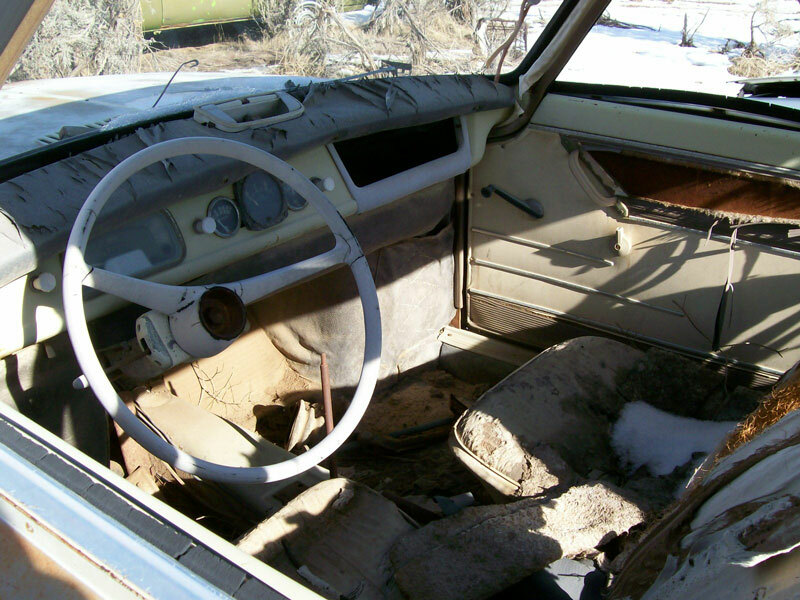 The interior is mostly complete except half of the rear seat is missing. There are three gauges in the radio hole and the dash sheet metal has been cut. The horn ring, shifter knob and glove box door are missing. The rear engine 697 CC 42.4 CID flat 2 cylinder air-cooled 30 HP motor and mounts are missing. The transaxle is there. 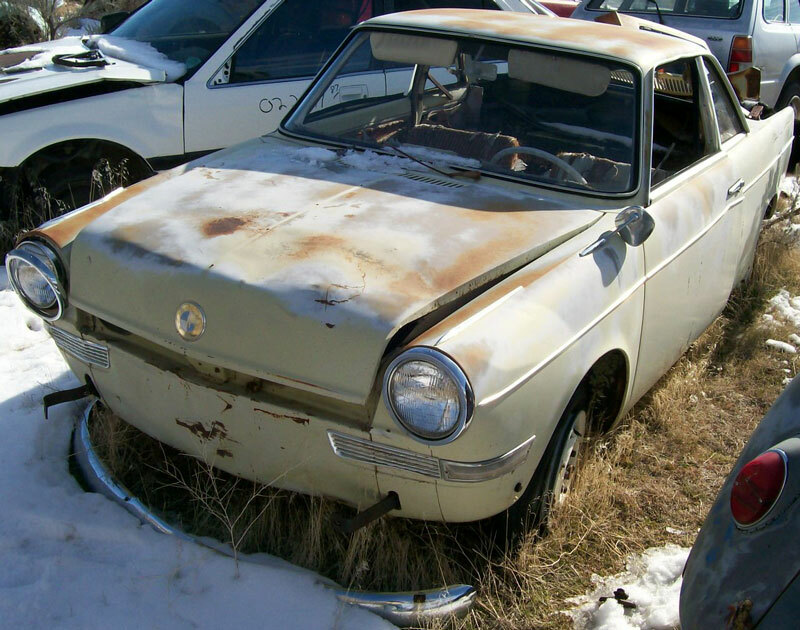 Here is your chance to restore or customize a scarce 59 BMW 700 coupe. 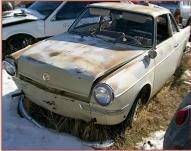 Please call (406) 318-0270 for details about this restorable classic 59 BMW 700 coupe project car. For sale $3,000.